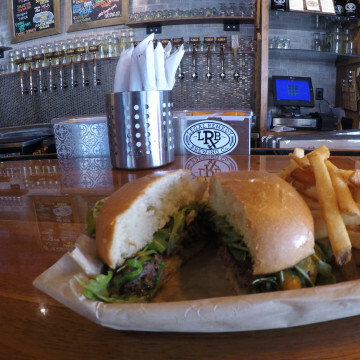 Hamburger heaven lurks in small towns around Charlotte. Here, 5 ways to work up an appetite, paired with 5 places offering dynamite burgers. 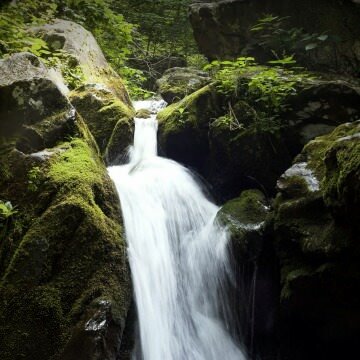 Beat the summer heat with these excellent half-dozen waterfall hikes in Shenandoah National Park. Here’s how to tackle them. 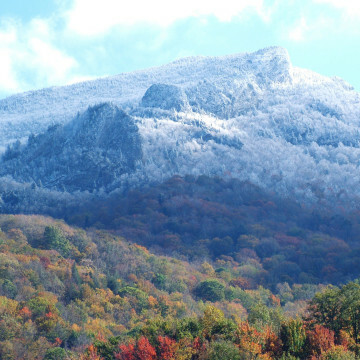 At once beautiful and treacherous, winter hiking at Grandfather Mountain means rugged rock scrambles, nerve-wracking high-altitude ladder climbs, and ice-slick chutes along an incredible 12-mile trail system. 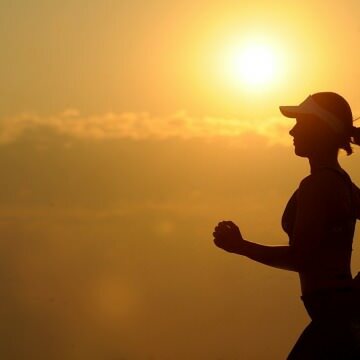 When Kristy Helscel, hurt her hip last December, she learned a valuable lesson that many active types have to face at one point or the other: Sometimes, the most difficult part of injury recovery is mental, not physical. 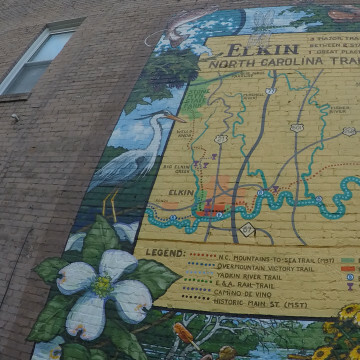 Elkin, North Carolina, is positioned to become the next great trail town, with easy access to excellent hiking, biking, and paddling. 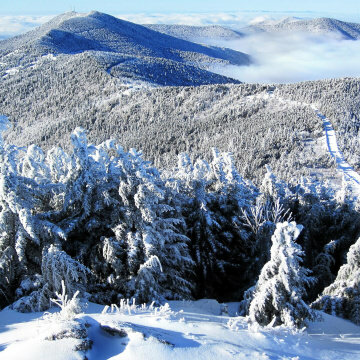 At 6,684 feet, Mount Mitchell is one of the loftiest peaks in the East. Here, 4 reasons why you shouldn't wait until summer to explore it. 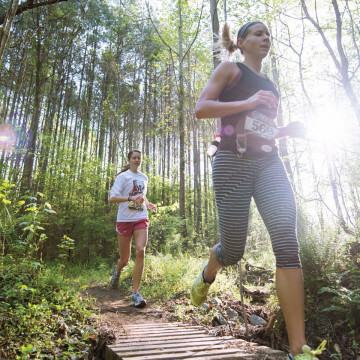 From steep climbs to long miles, here's a rundown of some of Charlotte's toughest trail running routes. 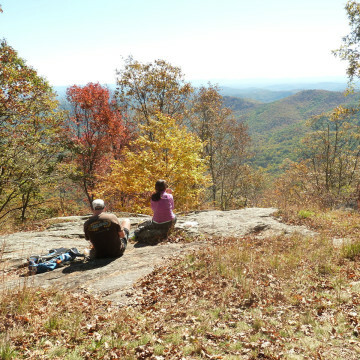 Arborist and hiker Greg Paige offers his expertise to help you know when and where to find the best fall colors in the Carolinas. Enjoying the outdoors is even better when your four-legged friend joins. 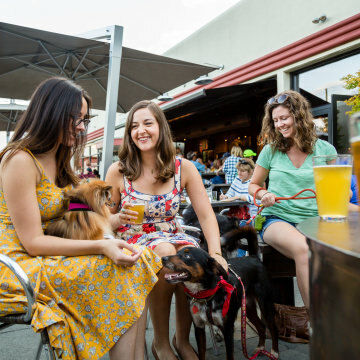 Here, 5 dog-friendly Carolina cities worth a visit. Spring is in the air in Gaston County. Here's your guide to celebrating the change of seasons with some can't-miss events. 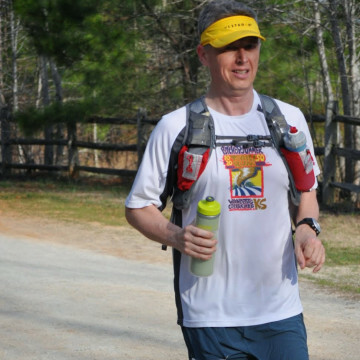 Ben Smoker, vice president of IT for OrthoCarolina, did something about his sedentary lifestyle—and now he's completing ultramarathons. Jump-start your resolutions with one of these Charlotte races on New Year's Day that feature everything from an easy 5K to an ultra run. From its cycling culture to a burgeoning restaurant scene, this lively S.C. town has exploded. 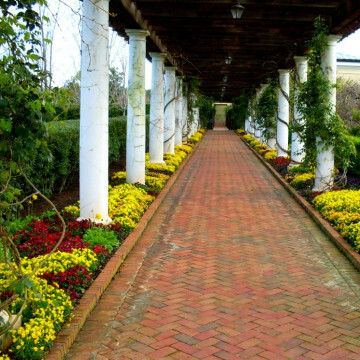 Here's how to do a Greenville weekend getaway. 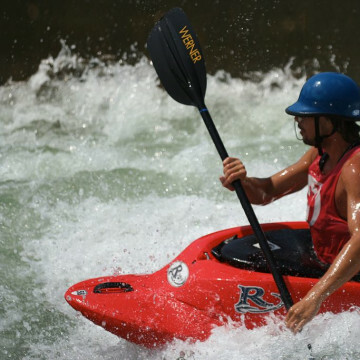 Whitewater paddling in Charlotte has exploded in popularity. Here, how to take the plunge to one of the most exciting outdoor sports around. The rain and fog may hamper some of those spectacular views in the Pisgah National Forest, but the wet environment may be just as rewarding. 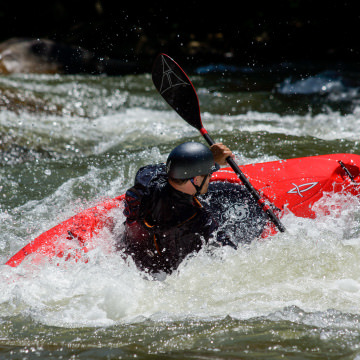 Climb to the highest point on the East Coast, explore scenic waterfalls, and plan a year of fun with these outdoor adventures in Charlotte. 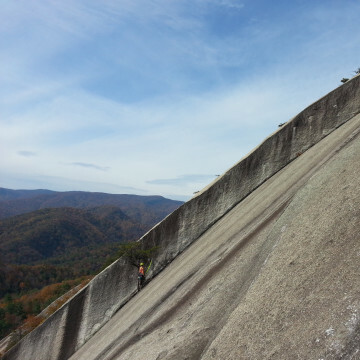 Stone Mountain State Park features a 600-foot tall granite boulder that is a climber's dream come true. 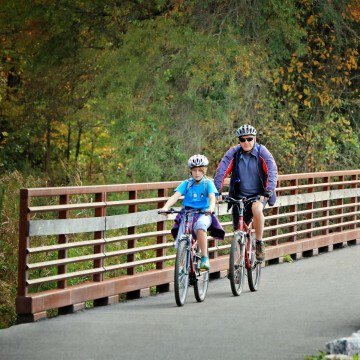 Over 7 miles of continuous, shady trail near UNCC. Mostly flat, gravel trail perfect for a leisurely ride. Taking a multi-day backpacking trip along the grassy balds of the Roan Mountain Highlands is truly an unforgettable experience that every hiker should add to his or her bucket list. 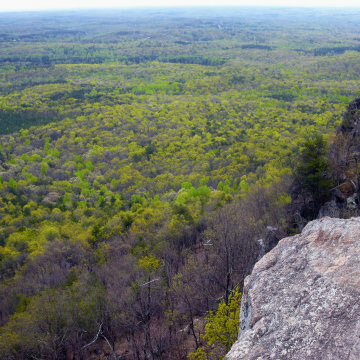 These climbing destinations close to Charlotte allow beginners and experts to enjoy fantastic routes best completed in the cooler weather. 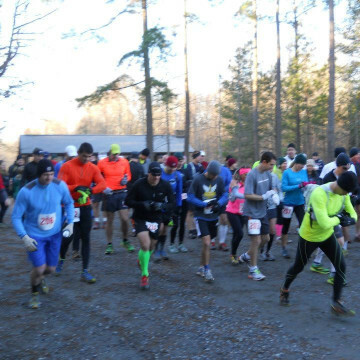 Trail Running magazine named Charlotte one of the top cities in the country for trail running. With these local resources, you can see why. We’ve enlisted the help of the team at Feetures, a hometown success story that specializes in running socks and are, not surprisingly, Charlotte running aficionados. 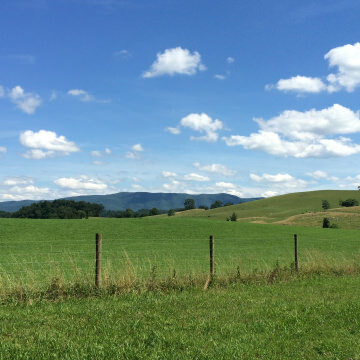 Here, their insider tips for a great mid-summer run in the Queen City. Nearly 6 miles of shady greenway running through wetlands and along creeks at the southern edge of Charlotte. For Rita DuPont, the Physiatry Fellowship Coordinator at OrthoCarolina, cycling has been a lifelong passion. Now 61, she hasn't slowed down much! With loads of national parks and forests nearby, plus excellent hiking, paddling, and waterfalls, a weekend in Cashiers is primed for outdoor adventure.